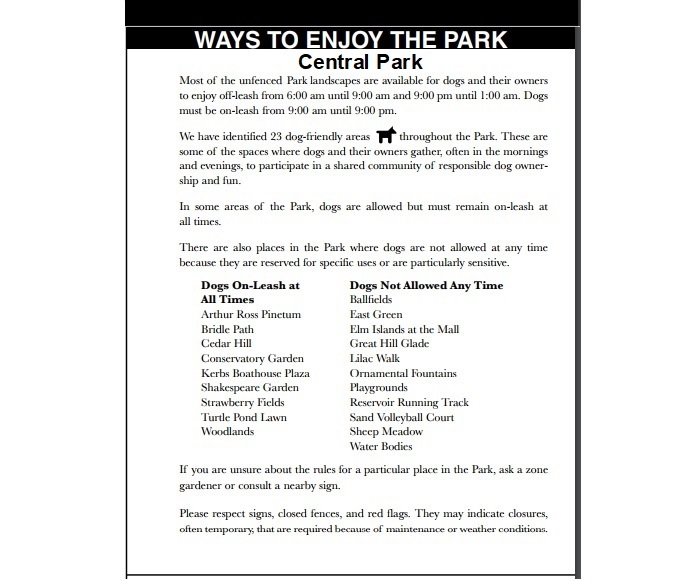 Dogs are allowed in most sections of Central Park whenever it is open to the public. Dogs must be on-leash 9:00 am-9:00 pm. Off-leash hours are 6-9 am and 9pm-1:00 am. New York State law and New York City Health Code require that dogs be vaccinated against rabies and every dog owner carry proof of a current dog license and rabies vaccination while in public. Dog owners may be fined for violation of these laws. All dogs in city parks must be on a leash (no more than six feet long) at all times, except in dog runs and designated off-leash areas at the prescribed times. 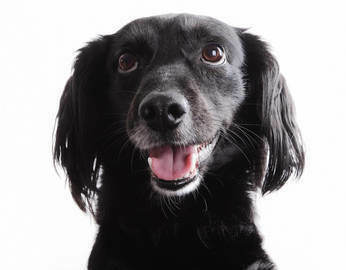 Unless otherwise prohibited, dogs may be unleashed within designated parks or portions of a park from 6am to 9am/after 9pm. 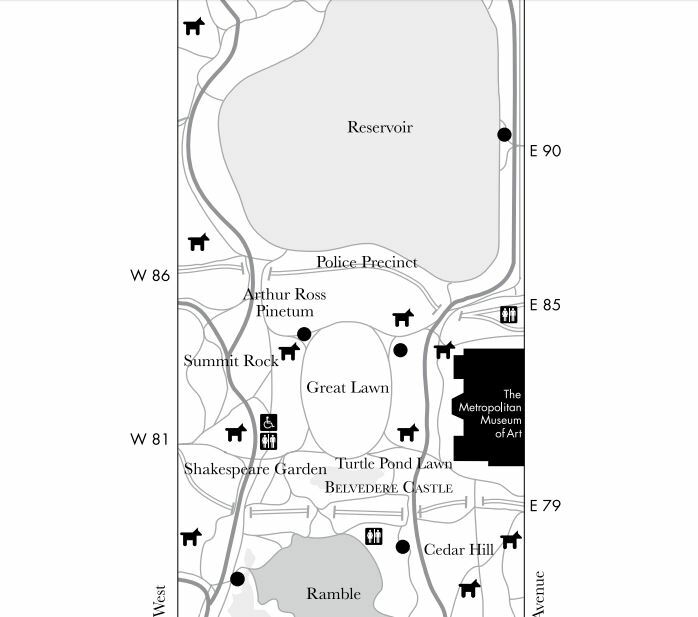 There are 23 dog-friendly areas around Central Park (see map below). 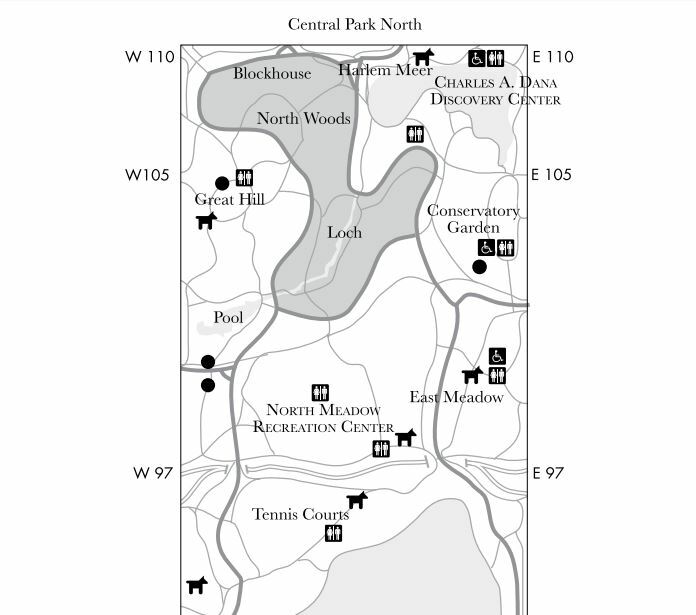 These are areas where dogs and their owners often gather to participate in events, often in the early morning or evening hours when dogs are allowed to run off-leash. These include Harlem Meer, East Meadow, Cedar Hill and Mineral Springs. In addition, there are 21 dog fountains throughout the park. 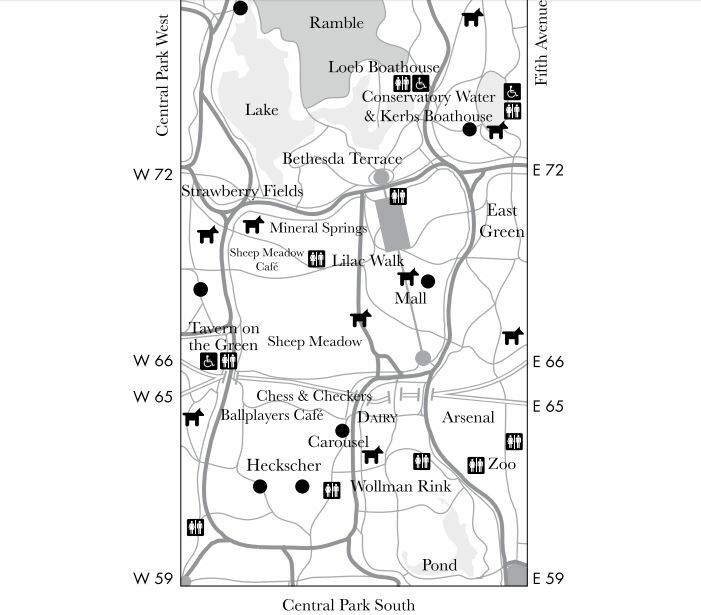 Although bridle paths in most city parks are off-limits to all dogs any time, leashed dogs are permitted on the Central Park bridle path. Any unleashed dog must be leashed immediately upon request by any police officer, park ranger, PEP officer, or official of the Parks or Health departments. Thinking of getting a Dog for Christmas? Please read this first! The Benefits Of Dog Friendly Workplaces For All - Including Employers! 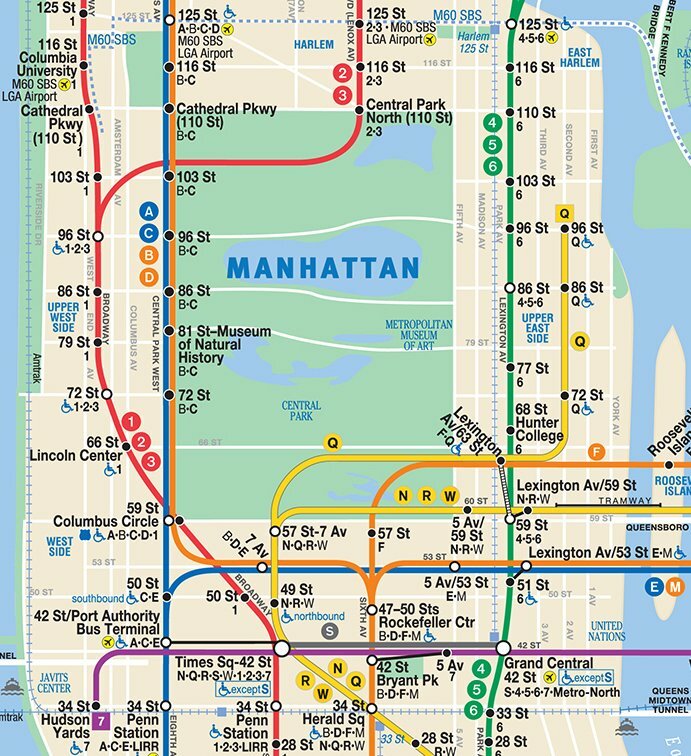 A, B, C, D, 1 Trains: These trains all stop at 59th Street/Columbus Circle. The 1 train also makes all stops along Broadway at 66th, 72nd, 79th, 86th, 96th, 103rd, & 110th Streets. 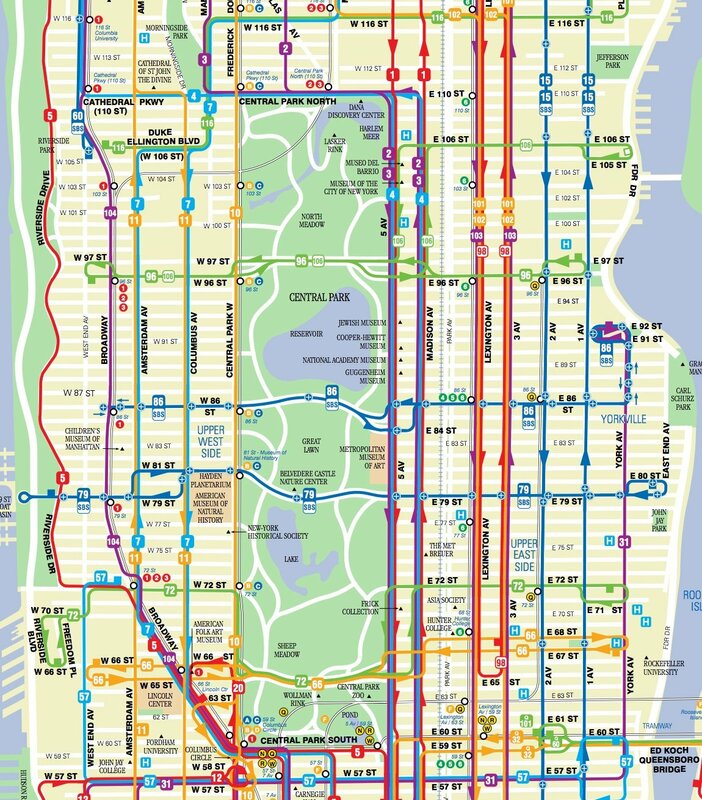 M10: On the West side, this bus runs north and south along Central Park West. M1, M2, M3, M4: On the East side, buses run south along Fifth Avenue, and north along Madison Avenue. From Grand Central Station: Take the Q32 Bus from Madison Ave and E 42nd Street station heading towards Jackson Heights, Queens. 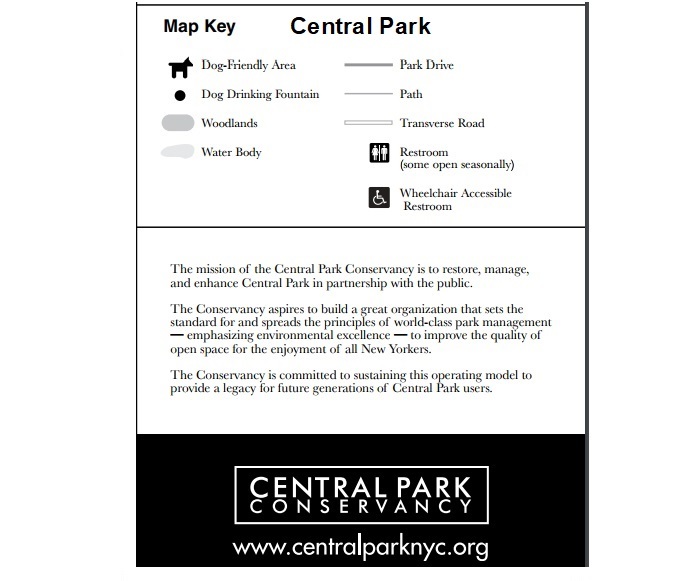 Go west on E 59th Street until you come to 5th Ave and Central Park South. If you like what we're doing please share & follow!